Wonderful property to build your dream home. 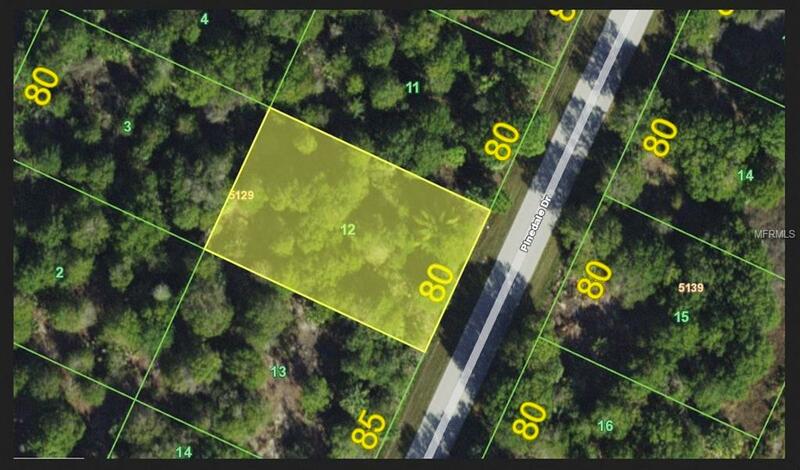 Adjacent to bike path from Publix to Boca Grande offering plenty of privacy and natures surroundings. NOT in a Scrub Jay Zone per Charlotte County site 05/08/18. Enjoy world renowned nearby BEAUTIFUL beaches of Manasota Key and Boca Grande on the Gulf of Mexico is just a short drive away and the beautiful Myakka River. Also conveniently located is the local shopping mall, hospitals, baseball stadium, restaurants, and many other amenities. Neighboring Gulf Coast cities consist of Sarasota, Fort Myers, and Orlando just to name a few. Fly directly into Southwest Florida International Airport or Punta Gorda Regional Airport offering a wide variety of destinations. Rare opportunity for the long term thinker don't let this pass you by!